This is a review of the most common points of concern and responses in respect to the SpamGuard online service. If something remains unclear upon reading them, please, request further explanations in comments. Inactive users, and all sorts of online rubbish. This is why Instagram users seeking to promote their posts effectively and end up in appearing in the Featured section should get rid of those abovementioned things. SpamGuard is a specialized service devised to help you have a smarter profile, remove everything unnecessary and block spam activity in the future. Knowledgeable people are aware of such fact that trash of any kind not just is absolutely useless, but can be even harmful to your account, since the general activity will be low, so people who are really active will lose any interest in your profile due to too few impressions. If you are a blogger, leverage the service to your advantage too, since the agreement on advertising in your account contains a provision stating that it’s all about the general activity rates rather than the quantity of subscribers. Consequently, neglecting this kind of problem will bring you no advantages at all. Please, be also advised that common users can easily manage without this service. Along with this, for users who seek give an impetus to their own business SpamGuard is not just another perk, but the necessary tool. What does the SpamGuard service do? Remove all unnecessary commercial accounts from your subscribers. The service is a cloud-driven solution, i. e. no installation on your device is required. Consequently, it will go on functioning even when your browser is off. Fast cleaning. Another benefit is all the applicable adjustments you ever may need are set in literally an effortless way. Several accounts. 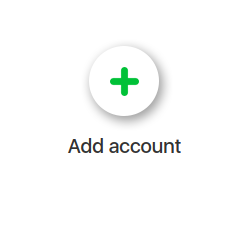 Actually, if you maintain several different profiles simultaneously, you can connect several accounts to your private dashboard. The introduced system is configured to be exploited seamlessly on all existing sorts of devices, which surely means that you can leverage all of its outstanding benefits on your preferred tablet or mobile as conveniently as with your desktop PC. White List and Black List features are available. This functional specifics will help you avoid deleting really important accounts. Additionally, it will prevent peers not meeting the specified requirements from subscribing to you. And each time you run certain operations, a report reflecting the efforts will be dispatched to the pre-specified address. This helps you evaluate the findings and always keep control. How does the solution help? To enjoy a chance to use the discussed service, a user is expected to go through a mandatory registration procedure and link their profile with the operational area. To complete the routine they are to attend the service’s web page, fill in the application questionnaire and submit it. Be also aware that only valid email details should be provided because, as the application statement is submitted, the registration verification is mandatory (for this end, click on a reference string in the received confirmation message). This done, sign in and place your profile to the operational area. This allows the user analyzing their audience and subsequently cleaning their account in accordance with pre-defined filtering settings. What is analysis? What does the term ‘cleaning’ mean? 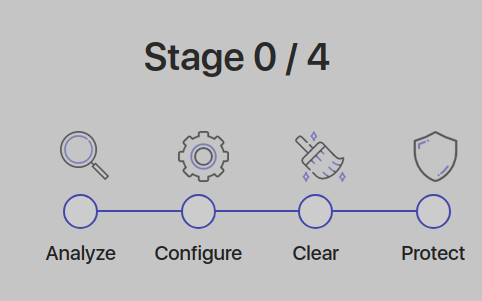 What is going on at these stages? The analysis means processing all available data using our unique algorithm. The process will reveal how often each of your users (subscribers) posted comments or put likes, and how many times. Additionally, it will make you unambiguously understand how high the user’s activity really was. Based on the findings, you can perform cleaning successfully. Cleaning actually means removing and unsubscribing from users who show poor or zero activity, have their account in another language, have a commercial profile or just are bots. Launch the check of the profile, and SpamGuard's unique algorithms will help you reveal all the abovementioned problems. Do not worry; no removing is performed during the analysis itself. This allows controlling the situation autonomously and, once the analysis is completed, defining the necessary lists and filters for what should never be deleted. And another interesting perk is that this information regarding who and when was removed is stored. This will help the optimizer avoid doing errors or, if they still occur, fix the issue right once you recognize it. Bonus! During the first inspection, the user has a chance to undertake a free-of-charge analysis of 30% of the aggregate amount only and then perform cleaning. This kind of perk is offered to help you make sure the described service is really highly effective. For example, upon using it and estimating activity indicators after the trial analysis and cleaning, a user is able to take a grounded decision on whether the service deserves further using. There are more additional options provided by the software. Such auxiliary features worth mentioning include: filtering comments by language or stop words, banning inactive profiles as well as banning stores and accounts. This well-thought functionality will certainly be much appreciated, for example, by bloggers and web masters. By default, SpamGuard will operate in a trial mode. Please, notice also that the price in each case is derived individually. The guideline is how many currently available subscriptions and subscribers are in place.